also Pte. Owen O’Shaughnessey, 3rd P.W.O. Yorkshire Regt. who was killed at the Battle of Paardeberg, Feb. 18th, 1900. This plaque was erected by the residents of Yarm in 1925 on the 100th anniversary of the Stockton and Darlington Railway. It lists the residents of Yarm involved. Thomas Meynell (Chairman), Benjamin Flounders,(a quaker industrialist) Jeremiah Cairns (listed as Meynells steward and agent), Richard Miles (a quaker lead agent) and Thomas Miles. 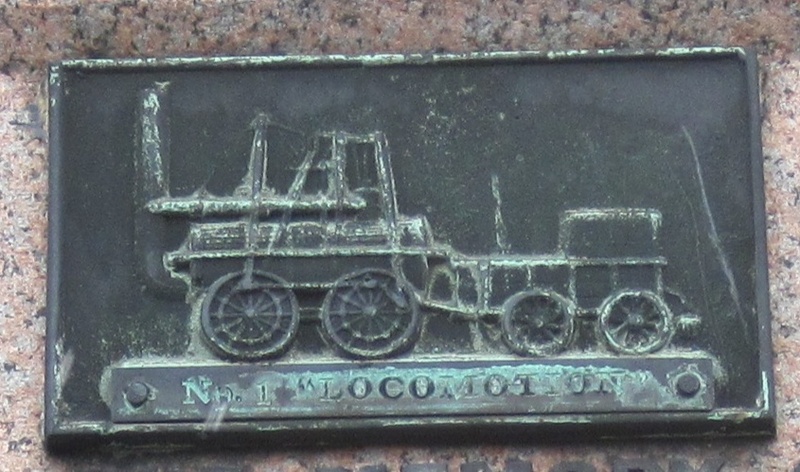 A engraving of ‘Locomotion No.1’ is at the top. 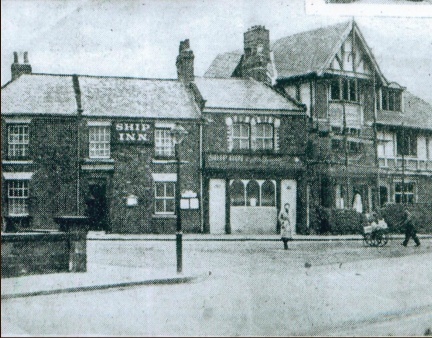 The George and Dragon on Yarm High Street was the location of the promoters meeting of the Stockton and Darlington Railway on 12th February 1820. Meynell laid the first rail on 23rd May 1822 and went on to be chairman of the railway. The Pavilion was a cinema that operated from 1914 to 1960. The carved name and the words “Drama” and “Comedy” can still be seen on the building. In the 1970s it was the Rock Garden venue and more recently the Arena nightclub. The mock tudor timber framing originated from the battleships HMS Collingwood and HMS Southampton. 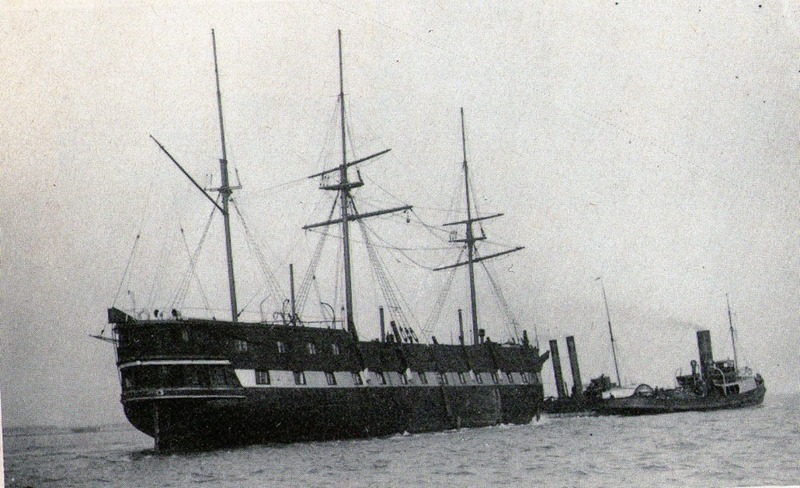 The 1882 HMS Collingwood was scrapped by Hughes-Bolckow on the Tyne in 1909. 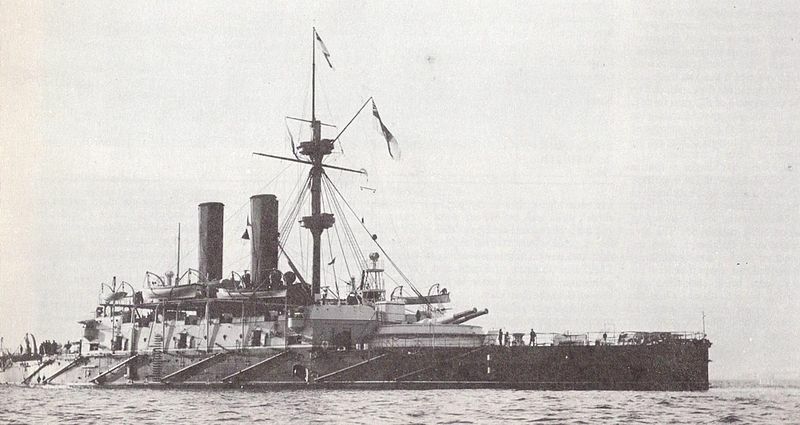 The 1820 HMS Southampton was also broken up by Hughes-Bolckow at their new Battleship Wharf in Blyth around 1912. 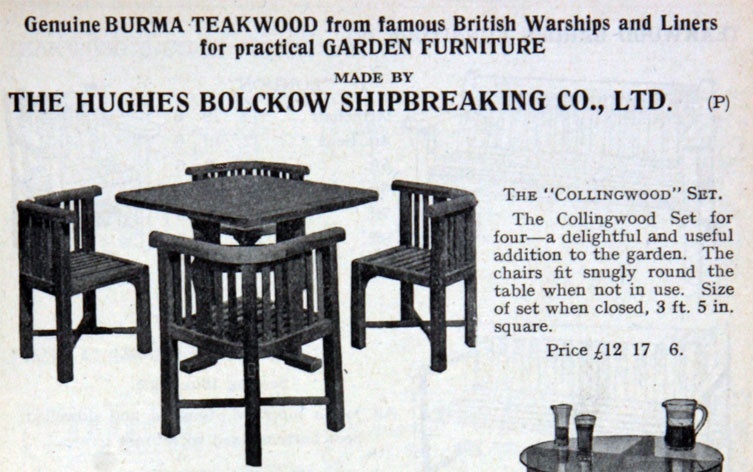 Hughes-Bolckow also made furniture from ships, such as these chairs from the Collingwood. This flush bracket OS Benchmark is on the White House in Marske, its been rendered over at some point in the past as the network has fallen out of use. At this point S9928 you are very precisely 19.9522m above sea level. I recently acquired a document from 1977 that was given to staff of the newly built Steel House. Theres no longer a large canteen and kitchen and the branch of Barclays Bank is long gone, however the hessian walls are still here ! There were some teething troubles in late 1977 as only one lift was operational due to a strike by the national lift maintenance engineers. A ‘modern’ office like this must have been quite something at the time as a series of open day was held in early 1978 with 1000+ friends and family visiting the building. This tiled doorway can be found at 21A Milton Steet, some investigation on the ghostsignsuk page has uneathered its from Pearson Brothers who were a drapers. Reports from the time suggest they went bankrupt in 1928. These knitted books appeared by the library way back in October 2011, long before the bigger Olympic or Diamond Jubilee pieces. They are still there as of 2013. At the time no-one really knew what to make of it and the term ‘yarnbombing’ was never mentioned in the press report. This new mosaic depicting Saltburns smuggling heritage was created by Helen Gaunt and Derek Mosey (who created the five mosaics at the station) with help from Huntcliff School students, Turning the Corner (TTC), Saltburn Foreshore Committee and UK Steel Enterprise.